LETTING BABY SLEEP JUST LIKE THEY DO IN YOUR ARMS. Swaddling has been proven to help babies seep better and longer. But not all swaddles are created equal. We’ve taken the guess work out of wrapping with a blanket so you don’t have to worry about loose blankets in the crib or the risk of swaddling too tight. With hours of research and lots of hands on experience, we’ve taken all the beneﬁts of swaddling and created one form swaddle you just can’t do without. Our signature fabric is incredibly soft and fully loaded with performance beneﬁts like moisture wicking properties to keep baby cool and dry, and our grow with me design makes it the only swaddle you’ll need to buy! With three sizes in one, our grow with me design offers baby the perfect ﬁt from birth – 6 months. Learn why sizing matters and the dangers of a “one size ﬁts all” or ill ﬁtting swaddle for baby. Compression fabric recreates the familiar, comforting in utero snugness + eases baby’s transition from the womb. Our signature fabric has the ability to pull sweat and moisture off baby’s skin,passing it through the material and releasing into the air to keep baby comfortable and dry. The breathable, moisture wicking properties help regulate baby’s body temperature. This assists in weight gain by limiting brown fat stored in baby burns by working to cool down or stay warm. 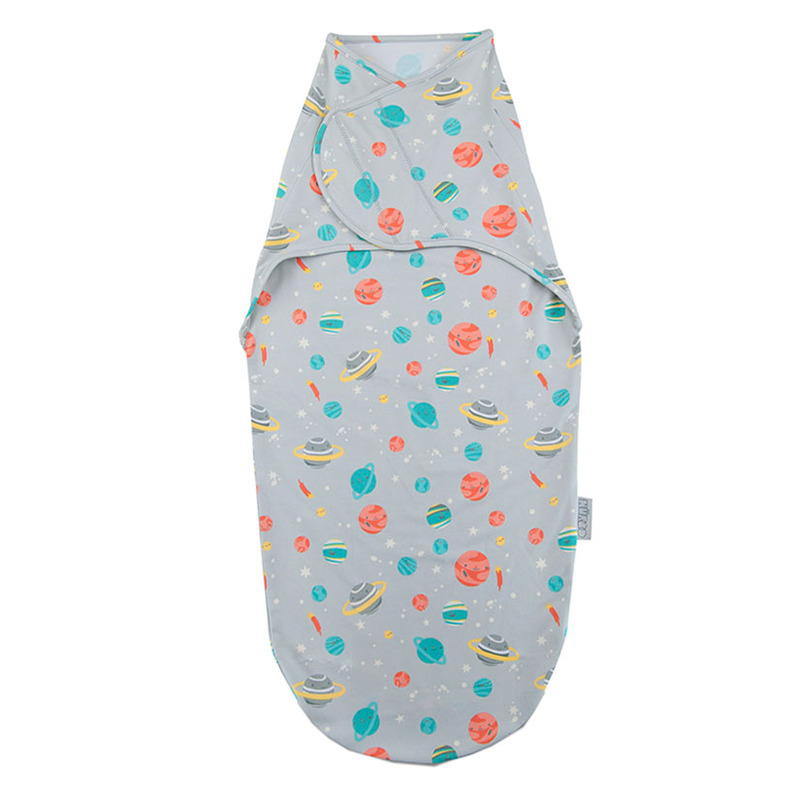 With a pocket for baby and hook and loop wings, the NuRoo Swaddler takes user error out of swaddling – even babysitters will have no problem getting baby cozily wrapped for bed. Place baby in pocket, position arms as desired, secure hook and loop across baby’s chest. That’s it… easy peasy! You can even use as an arms out tr ansitioner. Simple, safe and no cr azy wrapping to figure out. 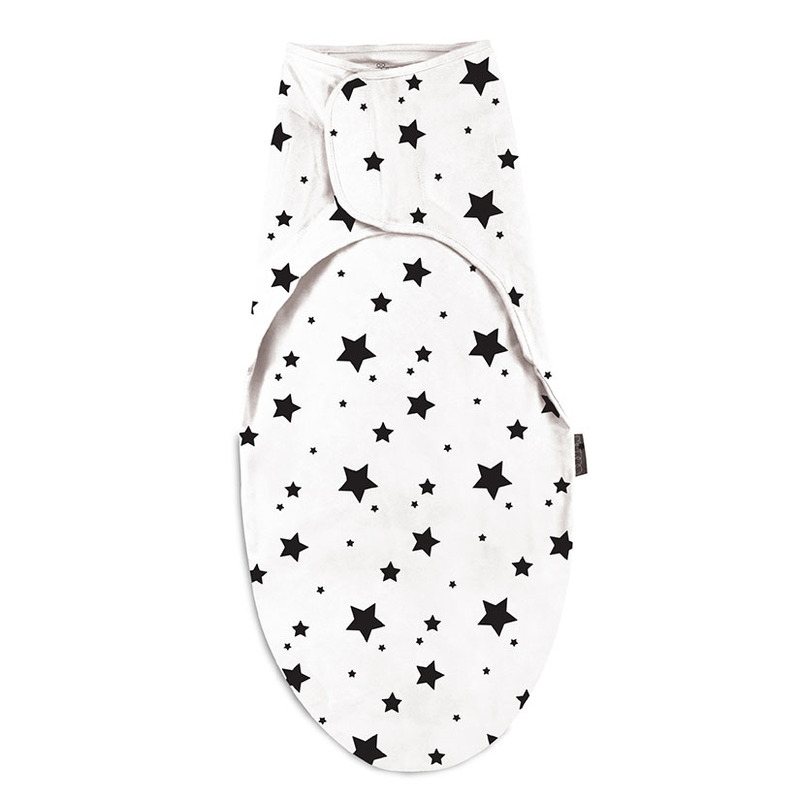 Our lux fabric is uniquely suited for swaddling. Not only is it super soft, moisture wicking and breathable, but deep pressure touch (like the gentle embrace created by our compression fabric), facilitates the release of dopamine, a ‘pleasure’ inducing chemical made in the brain. For babies, the presence of dopamine produces a calming, relaxing eﬀect and will aid in drifting your little one to la-la land. 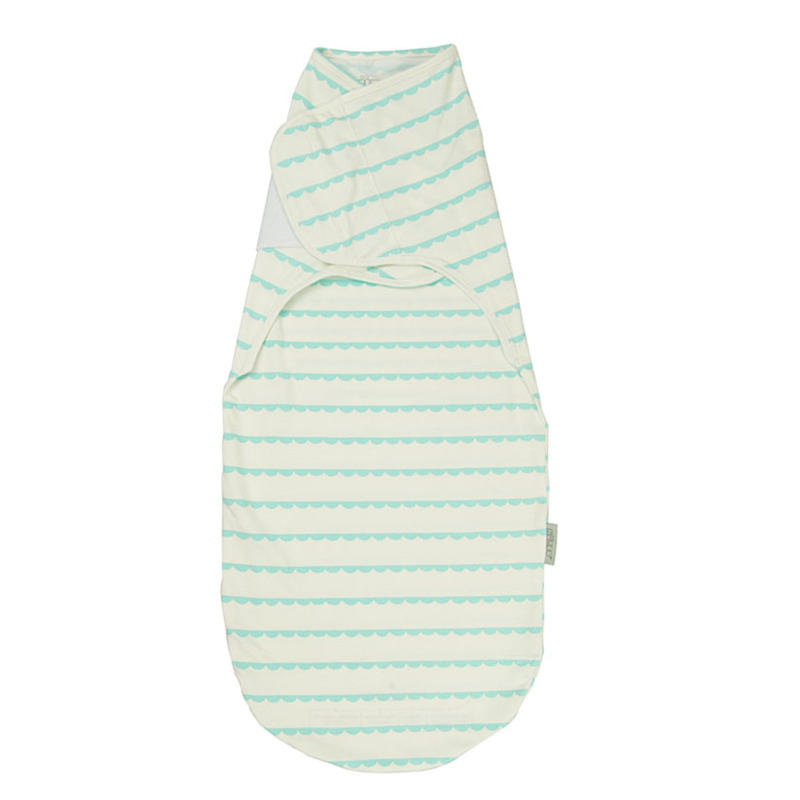 That same stretchy compression ﬁt takes the guess work out of wrapping so you never have to worry about baby’s swaddle being too loose and them breaking free or the opposite, wrapped too tight providing concern for comprised respiratory function or hip dysplasia. You can use our Swaddle the day your baby is born, so be sure to wash and pack it in your hospital bag. It supports the Baby Friendly Hospital Initiative, is used by leading instutitions and approved for use in the NICU with pre-term infants. Caring for your NuRoo Swaddle is a piece of cake. After securing the hook and loop tabs, you can wash and tumble dry on regular cycle. The Pocket has been acknowledged as a “hip healthy” product by the International Hip Dysplasia Institute, meaning that baby is in the proper M position making it ergonomic, and safe for baby’s hips. Simply toss it in the wash with like colors and tumble dry. Make sure the tabs are securely closed to prevent snagging or getting other things (like towels or burp cloths) stuck to the hook and loop. Piece of cake!